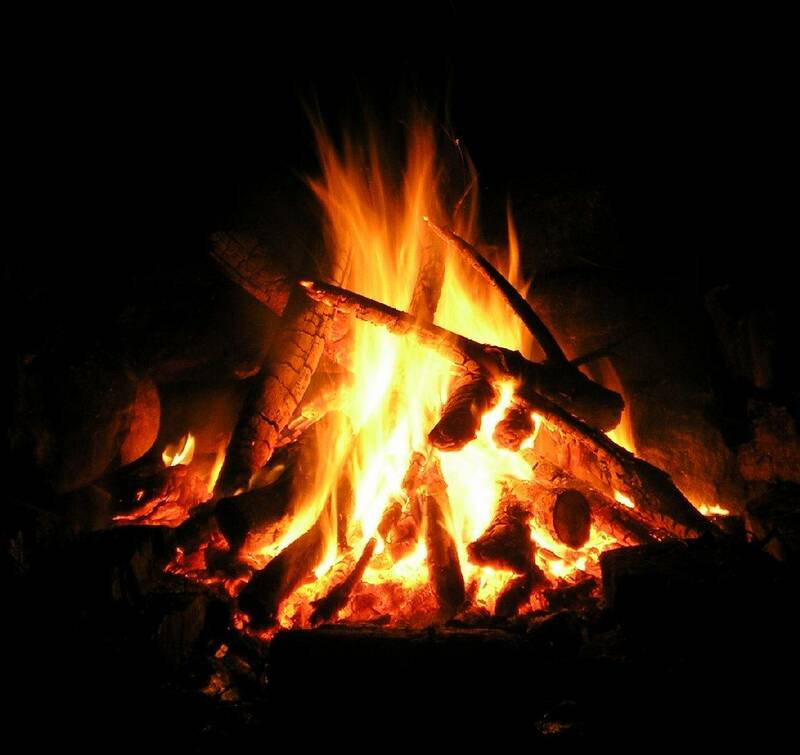 Jack London’s short story “To Build a Fire” stands out as one of his very best works. An early, children’s version of the story appeared in Youth’s Companion on May 29, 1902. The classic adult version was published in The Century Magazine, August 1908, and subsequently reprinted in the short story collection Lost Face (1910). That volume takes its name from the first story in the book, about a European adventurer in the Yukon who outwits his Indian captors’ plans to torture him. Good fiction can function simply as art expressive of our nature in the context of a society that hates us and consciously and instinctively suppresses in a comprehensive way virtually every form of expression natural to us. As he turned to go on, he spat speculatively. There was a sharp, explosive crackle that startled him. He spat again. And again, in the air, before it could fall to the snow, the spittle crackled. He knew that at fifty below spittle crackled on the snow, but this spittle had crackled in the air. Undoubtedly it was colder than fifty below—how much colder he did not know. Who or what is the antagonist in the story? Nature? Or the inner essence of the man himself—his shortsightedness, incaution, refusal to think? But all this—the mysterious, far-reaching hair-line trail, the absence of sun from the sky, the tremendous cold, and the strangeness and weirdness of it all—made no impression on the man. . . . The trouble with him was that he was without imagination. He was quick and alert in the things of life, but only in the things, and not in the significances. Fifty degrees below zero meant eighty-odd degrees of frost. Such fact impressed him as being cold and uncomfortable, and that was all. It did not lead him to meditate upon his frailty as a creature of temperature, and upon man’s frailty in general, able only to live within certain narrow limits of heat and cold; and from there on it did not lead him to the conjectural field of immortality and man’s place in the universe. Fifty degrees below zero stood for a bite of frost that hurt and that must be guarded against by the use of mittens, ear-flaps, warm moccasins, and thick socks. Fifty degrees below zero was to him just precisely fifty degrees below zero. That there should be anything more to it than that was a thought that never entered his head. At the man’s heels trotted a dog, a big native husky, the proper wolf-dog, gray-coated and without any visible or temperamental difference from its brother, the wild wolf. The animal was depressed by the tremendous cold. It knew that it was no time for travelling. Its instinct told it a truer tale than was told to the man by the man’s judgment. In reality, it was not merely colder than fifty below zero; it was colder than sixty below, than seventy below. It was seventy-five below zero. . . . The dog had learned fire, and it wanted fire, or else to burrow under the snow and cuddle its warmth away from the air. Note that the man says “best and most important” work, not short story. “To Build a Fire” is indeed a superlative work of art. Published: July 22, 2011 | This entry was posted in North American New Right and tagged "To Build a Fire, Andrew Hamilton, articles, Jack London, literature, North American New Right, originals. Both comments and trackbacks are currently closed. They have already been defeated, they have already given up. Excepting Covington, Greg Johnson, Bob Whitaker, Horus the Avenger, and a precious few others, ALL we see as Self-identified White Nationalists are people who do not BELIEVE they can win, who do not KNOW they are going to win, and have no idea whatsoever how to pay the foundation for battle, and victory. They don’t WANT to know, as that implies a sense of Adult responsibility that is simply beyond their Infantile view of the world. NO WONDER the rest of these Clowns hate Harold Covington! NO WONDER the never read Dr. Revilo Oliver. NO WONDER these guys will never give a dollar to counter-currents. No. That would be acting like an Adult, a Patriarch, being effective, and planning for the future like an Adult. That hurts their Minds too much! No damn wonder Jim Giles was so frustrated. He, like all of us, was dealing with Children in the bodies of Adults. they LOOKED like Adults, they acted like Adults, they wore Adult clothing, why, they must be Adults! They believe they have lost – they have been demoralized to THAt degree – and now react like the Children they have become, working their way through a couple six packs of Budweiser over the weekend, watching ESPN, and, if they have broadband Internet, playing HALO. Not one shot fired, and they are already dead. THAT is the power of the Mind when it has been controlled by the Enemy from birth. Tie that in with Peter Shanks Observation: “The Goal is to eliminate the Warrior Caste, preferably in the womb.” Done. With precious few exceptions, done. ASK these simple damn fools, who want to take over all of America, and who can’t hold one square FOOT in South Central for five minutes, how they propose to DO repeat DO anything? They refuse to answer the Question. because Children literally can not conceive of WHAT the work of MEN is, much less how to do it themselves! They COULD start by sending a hundred dollars a month to counter-currents. I recognize that is too big a number of them to comprehend, all at once, so I will make it easy for them, and place it in terms they can understand, and perform. Take the money you are spending on Budweiser this weekend. Send ten dollars to counter-currents. Keep the rest. Just send ten dollars each month to counter-currents. No, because they have given up – they are already dead! Greg Johnson just filled in all of the blanks for us – we have been trying to make Children do what Adults would do, but they only LOOK like Adults. They are Children, soft, weak, failures at being Adults. Charlie Browns, to a man. That takes us to Fight Club. The great power of Fight Club is to FORCE you to come into contact with your Source; the fire of anger provides the Light needed to see through the mists clearly, and the Will needed to Do Something about it. Remember the comments by the Narrator on the effectiveness of Fight Club? In Fight Club they had a key to unlocked their hidden Talents, and a Teacher to turn them into Capacities. Sheep became wolves. Eloi became empowered with the power to overcome the Morlocks – they didn’t become Morlocks, they became BETTER than Morlocks, because they had the Dream of a metapolitical order, and the tools to Take The Gap between where they were, and where they wanted to go. With the Restatement of Christianity, Covington could lay the groundwork for the religion that will be required for the New Civilization. Hell, think of what “Starship Troopers” did for NASA, and Marine Corps recruiting! NBF made an interesting, if only metaphorical (maybe not!) point. July 23 may be the birth date of William Gayley Simpson and death of William Pierce. Let’s think of the fire London discussed, and the circumstances under which it was built, only to be snuffed out by the mindless organic action of natural forces. Think Rhodesia, South Africa, South Central, South Side Chicago – you see where this is going. London’s Ideas should have been used like Upton Sinclair’s; Jack London Societies should have been formed to update and apply the best of his Ideas to the instant Cultural Moment. Thus, an Idea presents itself for the next book of Covington’s Northwest Republic. However, maybe the fire presented to the Minds of Men by Covington has more Light that he recognizes. Like the Zoroastrianism from which Christianity developed, the Fire is a Prime Symbol for the destruction of the Dark, and the Path to the Future. It might be Covington has one step to go, in the Idea that we need a new structure to apprehend the new spiritual perception, the equivalent of a new religion. One of the elements of a true Culture is its own religion. Suppose you stripped Institutional Christianity to its effective Core – the Gospel of John. Suppose you then overlaid it with commentary supporting the best of the Kinist model of Christianity as liner notes, a commentary, if you will. Suppose you then incorporated the best thinking of the people at christianseparatist.org, as further commentary. Finally, as a metaframework for the New Scripture – found, let’s say, by the grandchildren of Rooney Winfield, who “See” the Old Forms of religion seem not to be working – let’s apply, and use the best Ideas from, “Imperium,” which defines one metapolitical order extremely well. Examples to support these commentaries can come from the North; there was, and IS, a lot more to the Northern Faiths than we were told. From this, the Restatement of Christianity as it SHOULD be – Masculine, Assertive where possible, Aggressive when necessary, unapologetic, and capable of lighting a fire in the minds and souls of men. The children could find a old cave, and a book with paper-thin platinum plates, with pictures. Joseph Smith already did “golden” plates. The book could even be in a cover of silver – tarnished, blackened silver. THAT would help build the fire that is needed, and light the fire in the Minds and Souls of our Posterity. I AM borrowing from H. G. Wells, a tiny bit, but I also fear our Posterity becoming pure Eloi, at the mercy of pure Morlocks. THAT would honor, and amplify, the “best and most important work” of Jack London. Rules of Fight Club. First, Second, and Third are don’t talk about it. Shouldn’t we be talking about it? There’s kind of a mysticism here that’s not appropriate. Rule 8 is better: if this is your first night you still have to fight. I found “To Build A Fire” to be a story of seminal importance when I first read it, in Sixth Grade. I knew there was something very important about this story, it was about much more than a man battling nature, not realizing the hidden dangers that awaited just beyond what his senses told him. His senses told him one thing, his Mind another. To proceed without heeding the warnings offered by his senses – spittle freezing before it hit the snow, the dog hesitant – means his Mind was accepting assumptions that were not valid in a world that was not merely quantitatively different, but qualitatively different. Implicate properties came to the fore in the sub-40 below world, which took on a quiet hostility totally unforgiving of any error. I remember reading where he fell through the ice, and his fingers lost the fine motor skills needed to separate the matches, which all went up at once. Even in elementary school this scene awoke in me a sense of dead. He was dead, and didn’t realize it. Yet. This story is appropriate, indeed, to us. Consider the thousands and thousands of small indignities visited upon your Kinsmen in Rhodesia, and South Africa. Then comes that catalytic moment, where invisible crystals in suspension suddenly hit the point of supersaturation, and a new structure is seen. It’s part of an implicate order that suddenly becomes manifested. So, too, in Rhodesia, where an implicate order, the nature of which could be deduced in the abstract, was denied by the one thing capable of dealing with this level of abstraction, the Mind, which was overwhelmed by the emotional manipulation of soft, soothing promises. At what point does the implicate system become manifest – ten percent African? Twenty? Thirty? Then, suddenly, a new and much more dangerous Order becomes manifest, but it is too late. Students of Harold Covington know the points I am making all too well. We awaken one morning, and it is as if the Red Pill is working, and “tolerance” is seen as the facade that kept us Asleep to the implicate order our Senses told us was developing, but the Mind said it was not really THAT bad. Yes, it IS minus 40, but we can still make it to Dawson by nightfall, if we move steadily. And then, suddenly, we realize we aren’t going to make it to Dawson. We CAN’T make it to Dawson. The anaesthetic of the bitterly hostile environment finally takes hold, and we slowly, softly, die. Am I speaking of a traveler to Dawson in the minus 40 degree winter, or am I speaking of farmers whose Minds told them “WE built Rhodesia from dirt! This is OURS, under the LAW, and We shall not be moved!” Or am I speaking of those who would “take back every inch of America,” not realizing THEIR America is gone, regardless of what the soft manipulations of the media tell them? Counter-currents is trying to build a fire in the Mind and Spirit of those who realize it is a bit colder out there than it seems. Harold Covington tells us what we could do WITH the fire, when we finally build it, and harness it as a tool for Civilization. The guys in Dawson already had their fire, but it was too far away to do the subject of the story any good. Winter Is Coming. Ten dollars a month keeps the fire going. Donation is easy. So is failure. The choice is yours. I’ll have more to say on this very useful story. The problem with that story is that when it is that cold the skies are invariably clear.